Restoring mural paintings is certainly a physically and mentally demanding discipline that requires specific expertise: a keen awareness of painting techniques and building materials as well as good mobility and physical endurance. Climbing up and down a scaffolding is incredibly exhausting, but the excitement that comes from close contact with a painted surface (when you are several meters from the ground) is a wonderful and incomparable feeling. Restorers experience an exhilarating “physical proximity” with the artwork which they share only with the artist who painted it. As frescos, mural paintings, and stuccos are almost always part of a broader artistic or decorative context, located in places of worship or historic palaces, this discipline also requires restorers to be mindful of their surroundings. 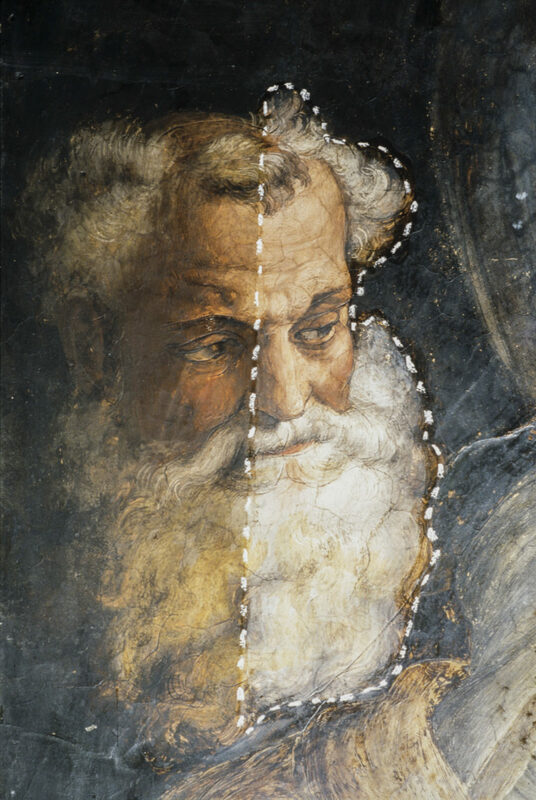 Thus, when working on these kinds of paintings, restorers must achieve a balance between navigating the space that the painting resides in completing their challenging technical tasks.